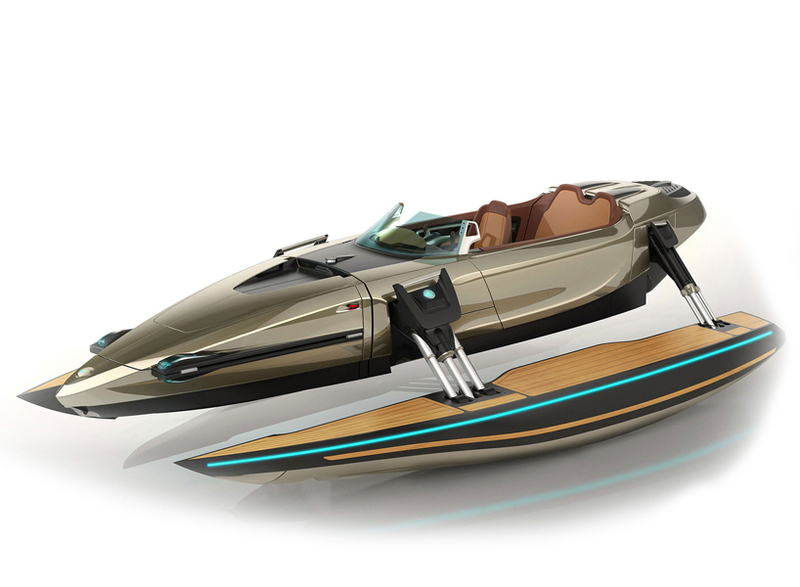 The ‘K7′ from Austrian company, Kormoran, is a versatile luxury vessel that can speed on the seas as a catamaran, trimaran, monohull, or a hydrofoil. 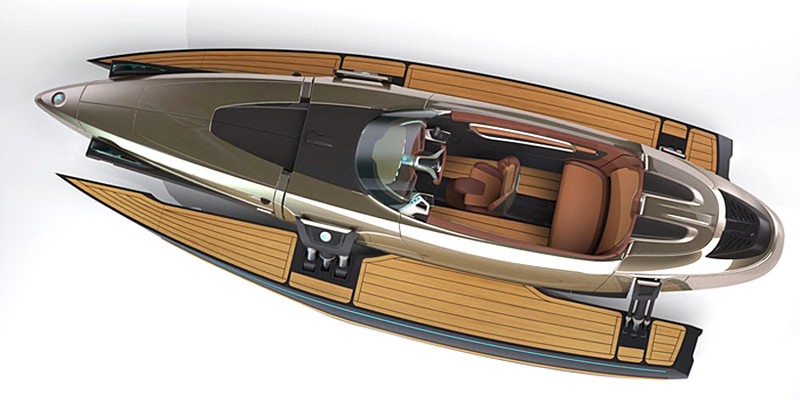 A pair of hydraulically actuated hulls allows the watercraft to transform on the sea, even when in motion. 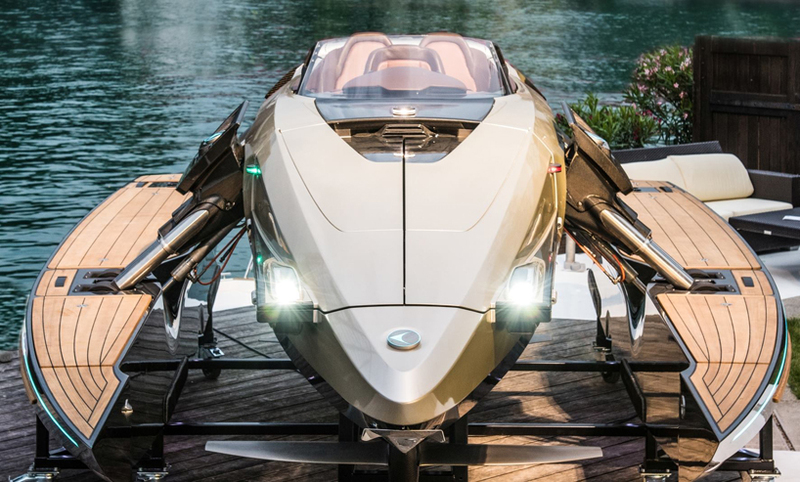 The kormaran ‘K7’ is a 23 foot speedboat that can change shape + pilot settings at the push of a button. 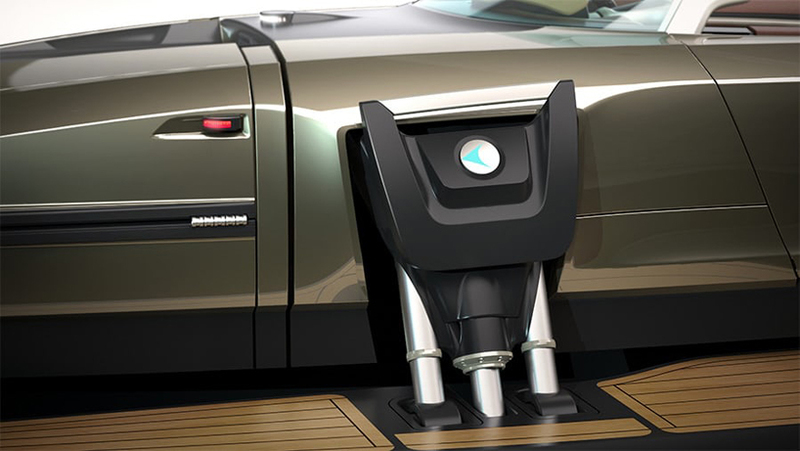 Its electronically activated hydraulic-arms are central to its adaptability: when drawn inward, the outrigger hulls fold into a monohull watercraft; when deployed partially, the body stands above the water surface, acting as dual hulls of a catamaran watercraft; when deployed completely, the body is submerged effectively becoming the third hull of a trimaran watercraft. 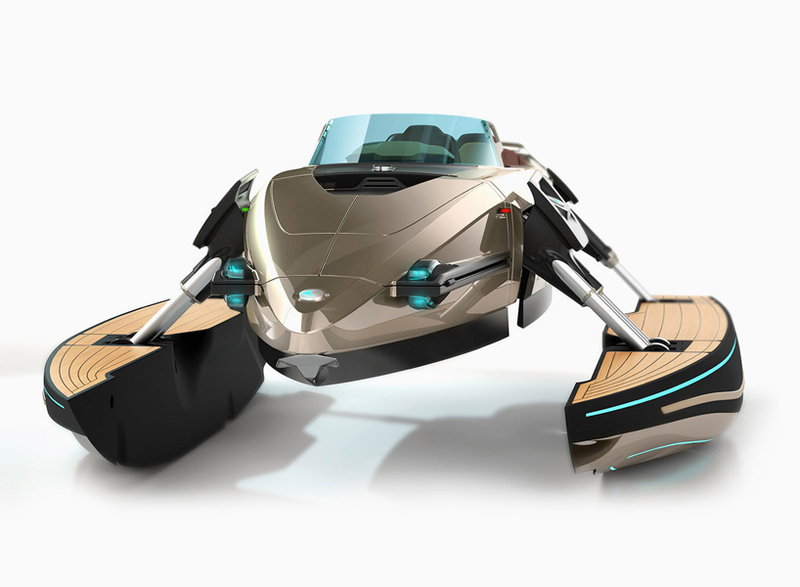 The luxury watercraft also features a set of fold-out hydrofoils, enabling it to lift the body further above the water in monohull mode, creating a smooth experience that reduces water resistance by up to 80 and consumes less fuel. 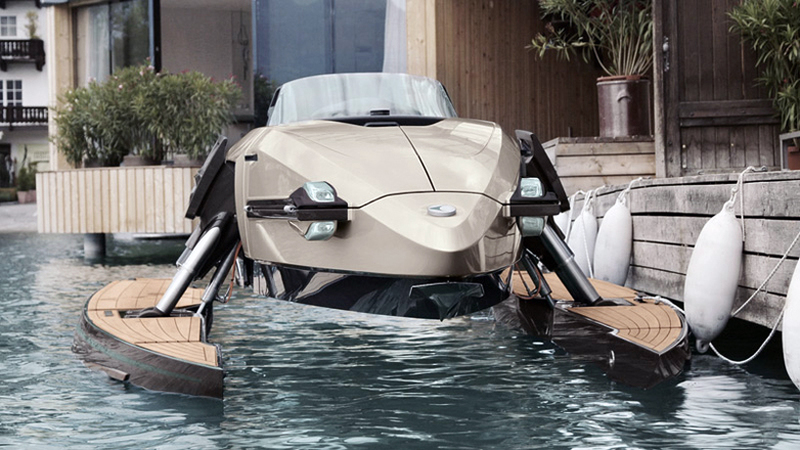 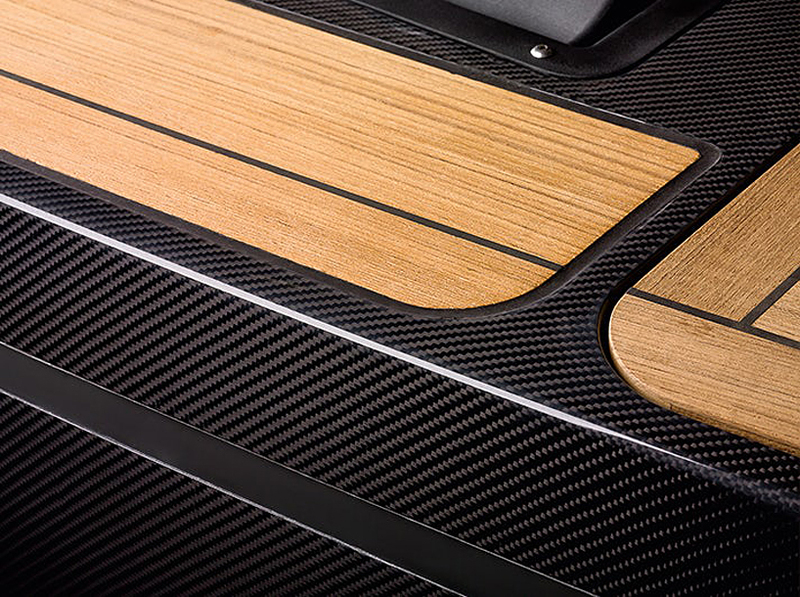 Kormaran complements the ‘K7’s’ innovative design with materials that create a sense of prestige. 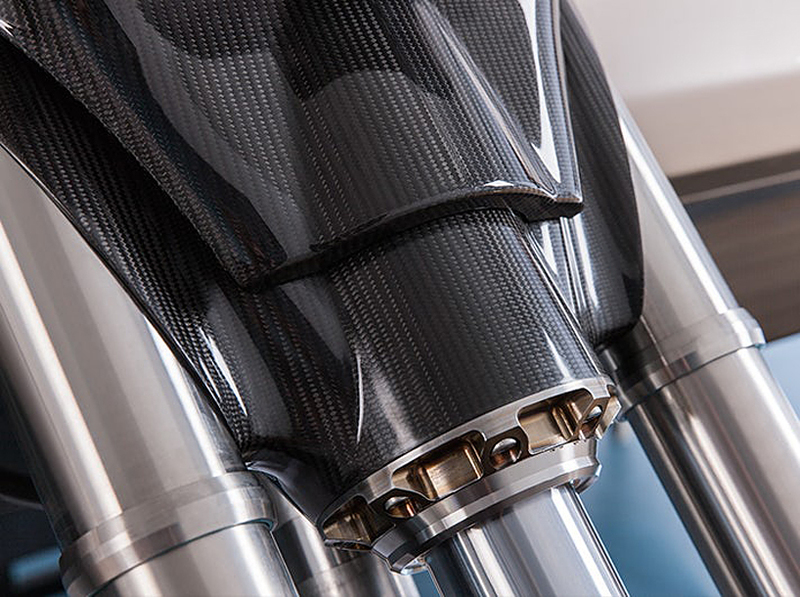 Its overall structure is crafted from carbon fiber, the hydraulic arms are a blend of titanium and stainless steel, while the interior is trimmed in soft leather. 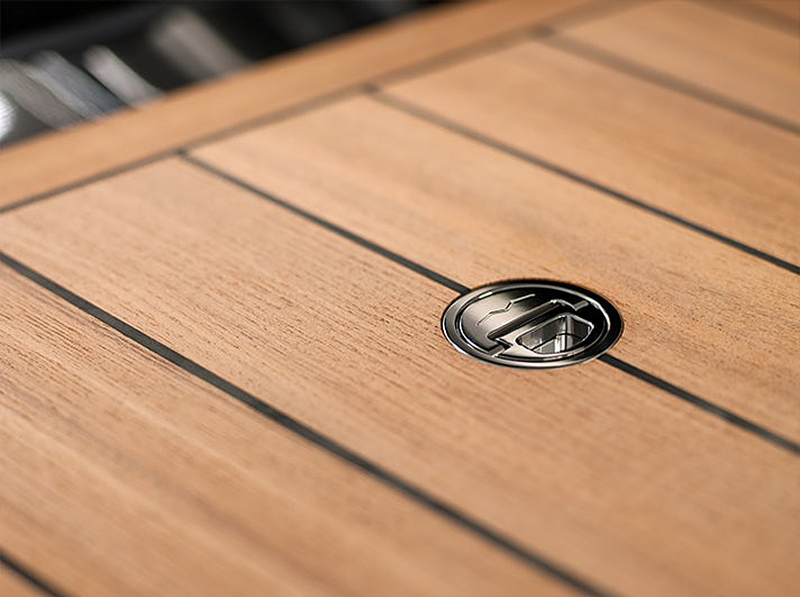 The hull + deck surfaces are covered in veneers of black-jointed teak wood, providing ample room for occupants to sunbathe, or dive into the water. 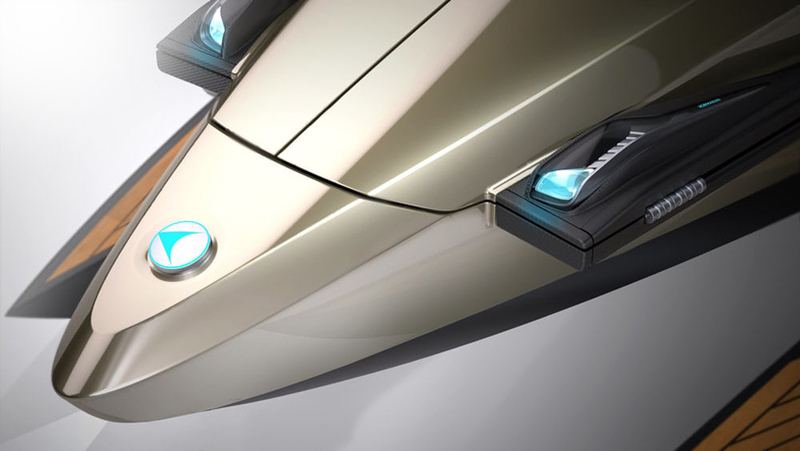 During the evening, an intelligent lighting system navigates the pilot through dark conditions, while red LEDs + aquamarine strip lighting provides the perfect ambience to appreciate the seascape at night. 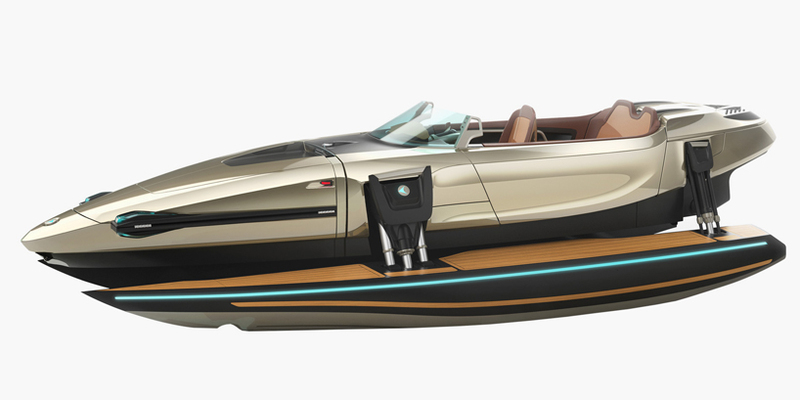 The luxury watercraft’s 493 horsepower ‘triple-jet-drive’ allows it to reach its top speed at 45 mph (70 km/h), travelling up to nmi (200 km). 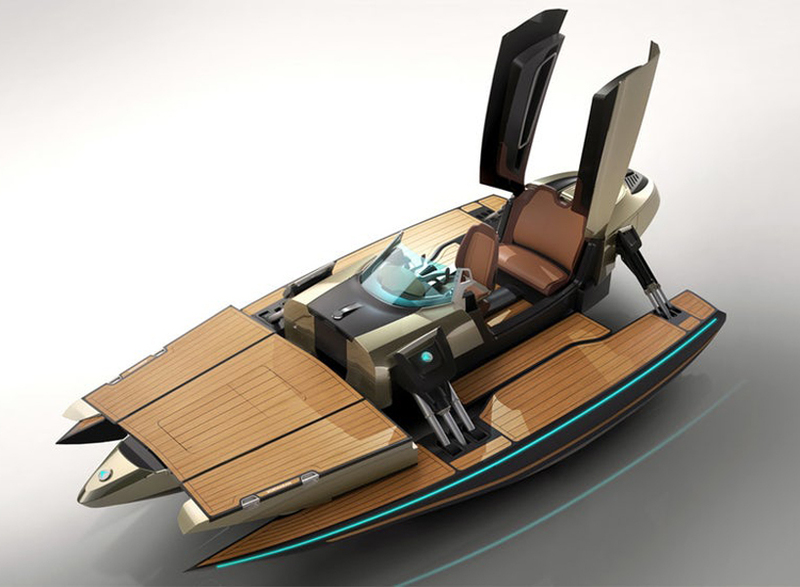 It measures 7 m (23 ft) in total length, and between 5 and 11.5 ft (1.5 and 3.5 m) in width, from the monohull to trimaran configurations. 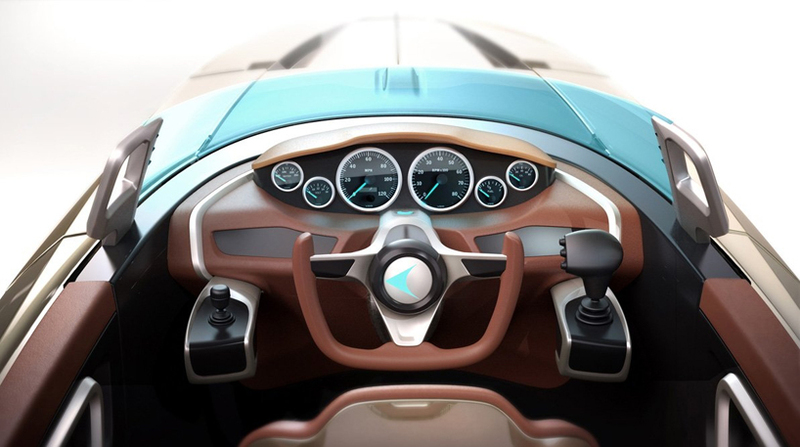 Sat at the rear of the pilot is a leather seat for two rear passengers, allowing the to get cozy while revelling in the luxurious cabin.